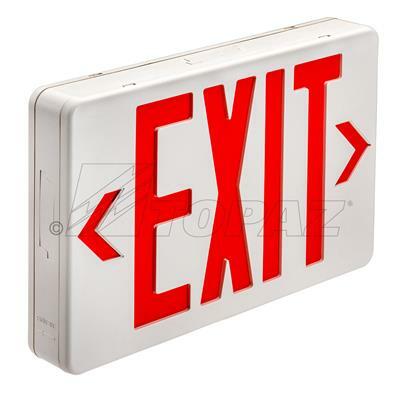 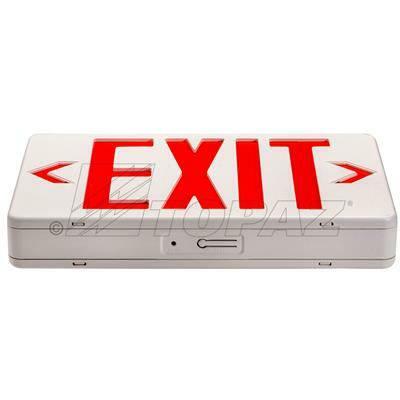 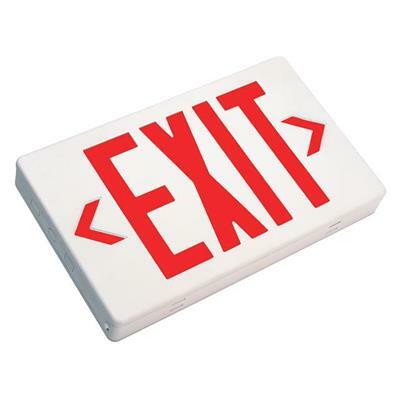 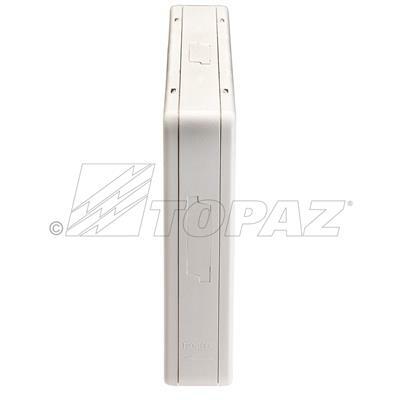 Topaz’s single or double face LED red exit sign with battery backup, is energy efficient and has a low-profile compact look. 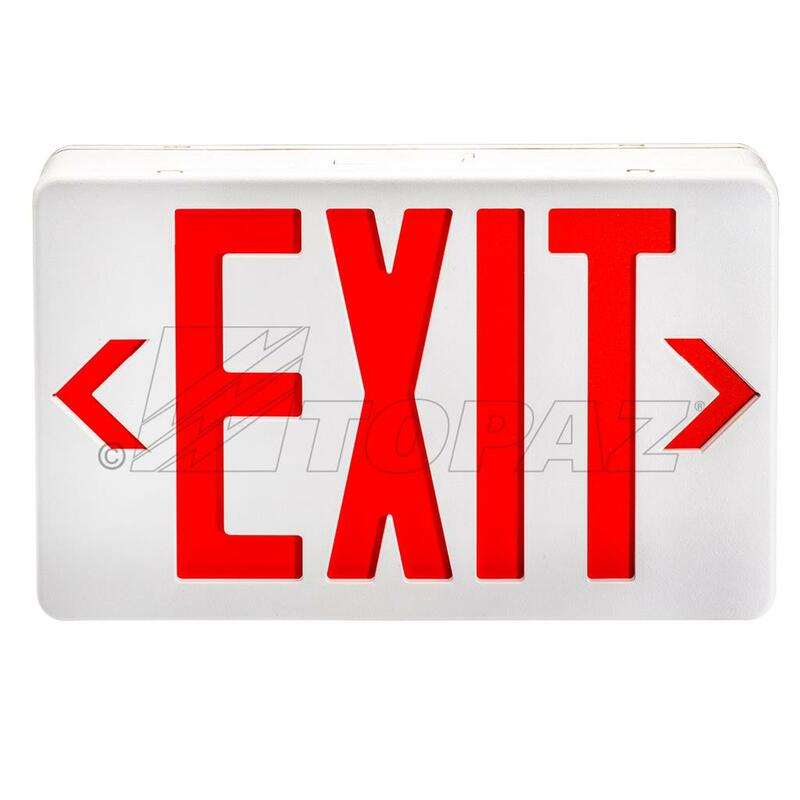 Read EXIT letters are 6” high with a ¾” stroke. 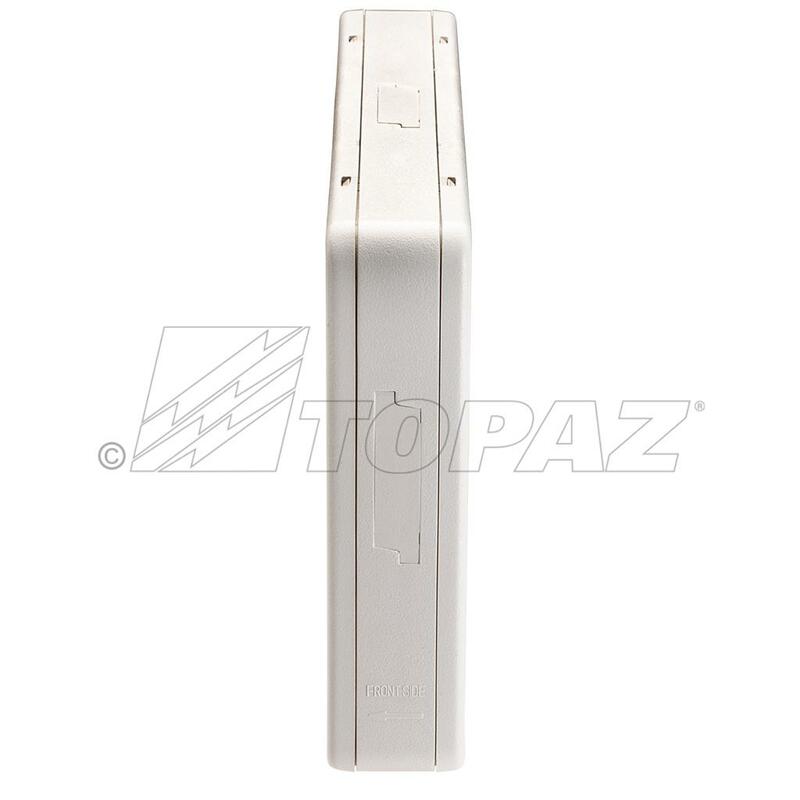 This emergency unit is OSHA compliant and contains a long-lasting Ni-Cad battery backup for 90 minutes of essential illumination during a power outage.